Dr Robert Thomas is involved in research (50%), teaching (15%), and clinical practice (35%) of sleep and its disorders. Innovation and translation is at the core of his approach, crossing traditional boundaries and developing collaborations that push known limits. His research is motivated by problems he see in the clinic; this research has cycled back to clinical care innovations that directly improve patient outcomes. Thus, his Area of Excellence is Innovation. He developed a new way to phenotype sleep in 1999, which was validated by a collaborative development of the ECG-derived spectrogram software in 2004-2005 (now available as a patented and licensed FDA approved product). Assessing the �effectiveness� of sleep is a novel way to estimate the function (or dysfunction) of sleep, and has already been applied successfully to large (population based) and small datasets in humans and rodents. His recognition of the polysomnographic features of strong chemoreflex influences on sleep-breathing resulted in the now accepted new disease of �complex sleep apnea�. He have developed novel sleep laboratory protocols for disease management including Enhanced Expiratory Rebreathing Space for complex sleep apnea, created a Non-Vented mask clinical pathway, and hold unique teaching laboratory nights. This understanding of the role of subtle changes in CO2 set-point or levels in mediating and treating, respectively, for hard-to-treat chemoreflex-driven variants of sleep apnea, is one of his seminal contributions to the field (patented, device under development through an NHLBI SBIR grant). This approach has directly benefited hundreds of patients who have failed the current standards of care, and is gaining national and international acceptance. He is the leading expert in the practical application of CO2 treatments in sleep apnea management. Dr Rober Thomas have significant Teaching and Education contributions, considered a superior clinical teacher, and run the ACGME accredited Sleep Medicine Fellowship program and the Harvard Medical School Sleep Medicine elective. This training program also regularly teaches rotating medical residents on Neurology and Sleep Medicine electives. He designed, wrote and executed the entire Sleep Medicine curriculum. He regularly teach at National and International sleep meetings. He was the co-chair of the pre-congress postgraduate courses at the 2011 World Association of Sleep Medicine meeting in Quebec City, and appointed again for 2013 in Valencia, Spain and 2015 in Seoul, South Korea. Investigative contributions are an important part of Dr Rober Thomas academic portfolio. His research focus spans the neurobiological substrate of excessive sleepiness using functional imaging, non-linear signal analysis, chemoreflex control in sleep apnea, and using sleep as a window into brain and body function. He was one of the first to utilize functional magnetic resonance imaging to study sleepiness, for which he received support from a K23 award. Further support for his investigative work has come through R21�s, a Challenge Grant, SBIR�s, CADET-II, and the Center for Integration of Medicine and Innovative Technology. 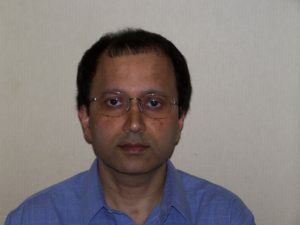 In summary, his academic profile is that of �balance� – innovation and generation of Intellectual Property, effective translation, compassionate care, dedicated teaching, a steady publication record, and evidence of being able to attract grant peer reviewed grant funding to support translational / innovation directions.